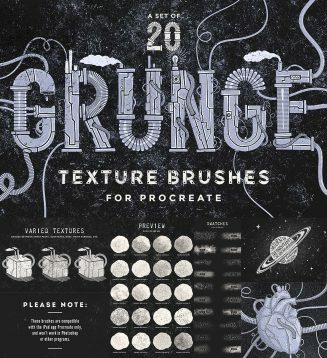 This set of 20 grunge brushes for Procreate are a nice way to quickly add a grunge texture to your illustrations. 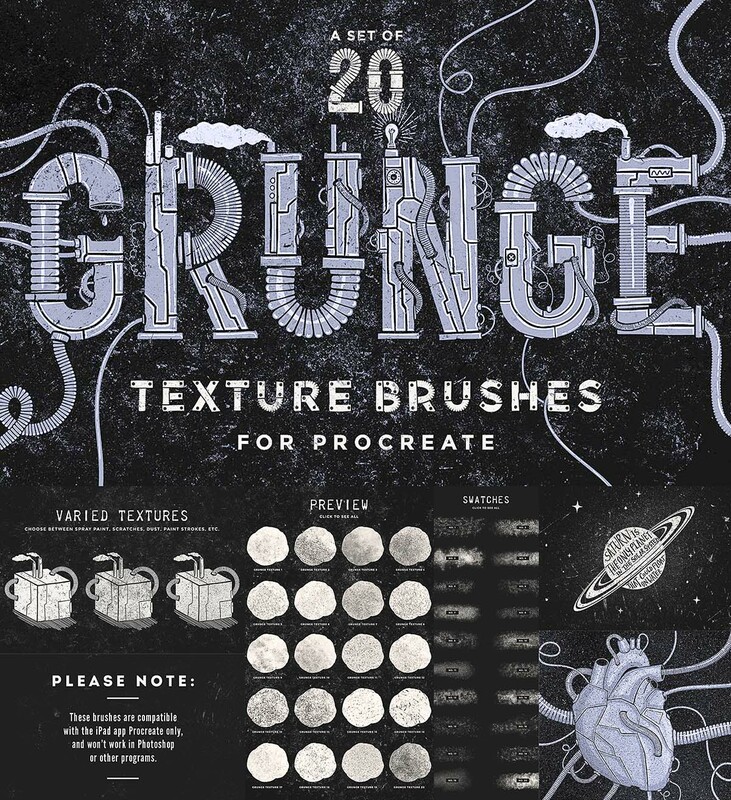 Choose between varied grunge textures, from dust & scratches, spray paint, paint strokes, etc. All these brushes were created using real tools and grunge samples. File format: .brush for Photoshop or other software. Tags: brush, grunge, grungy, procreate, texture brush.